BAHAZ is a factory, locates in Tehran province in Iran. We manufacture food storage and preservations, waste bins and bathroom accessories, using high quality materials. our precious customers of its durability and beauty. The kitchen accessory series, which has sanitary approval of CE-Marking, are best fitted in your kitchen. 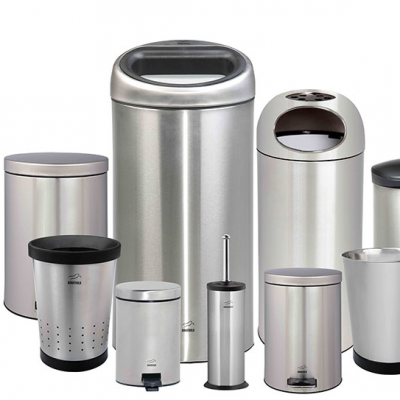 Also waste bins and paper bins, with superior quality, are the most useful items in many places as you prefer. Various types of excellent colors appropriate for any domestic customers and abroad. We warmly welcome to visit our collection. Our excellent pedal bins and trash can, ideal for public places, household consumption, washroom environments and elsewhere you prefer, made in different capacity as 45,20,14.6 and 3 liter, to reach distinct demands. Also the pedal bin 14, 6 and 3 liters have soft closing mechanism, which are closed gently and silently and their operation is without noise disturbance.